Samburu National Reserve special five are animals unique to this conservation area. They are way cooler than the big five. And a special gem for the North. Samburu National reserve is located in the north side of Kenya. It’s in the Samburu county and managed by the county government. Elsa the lioness was raised in this reserve by George and Joy Adamson. You can read more about their journey in the book “Born Free”. Its one of the famous reserves that found their way into conservationist heart and success stories. Having Uaso Nyiro River cut across it, a huge wildlife population found their way into this park. The reserve is found within a savanna grassland area which experiences seasonal droughts once in a while. The area can be really dry but the river refuges in such times. Samburu community surrounds the park. They have been able to positively deal with the frequent human-wildlife conflicts. As we all know most of the Kenyan wildlife live outside the protected areas. Nature conservancy and conservation bodies have made this possible. They have provided knowledge and alternatives to promote humans and wildlife relations. The locals are now actively protecting the wildlife from the bad guys, poachers. Samburu can be very hot during the day but the nights are cool. The locals are friendly and easy to mingle with. They are generous enough to teach and allow you enjoy some of their cultural events. They will teach you how to jump very high, apply your hair the red soil if you allow them, give you their delicious meals, among others. If you would like to enjoy all these, park your things and head there. Back to our special five. These wildlife are rare and unique to this reserve hence the name. The giraffes with a coat that has a pattern of sharp edges that allows very thin lines in between them. It’s like lines made using a ruler. You can read more about them here. 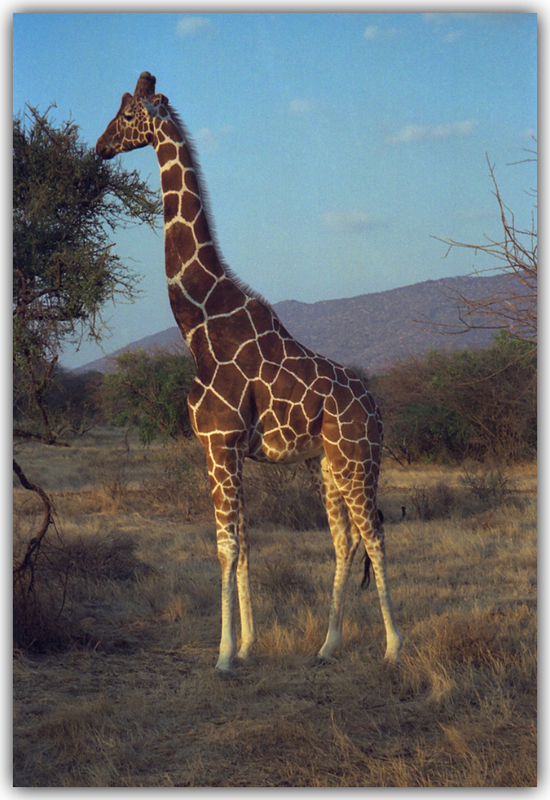 They are widely distributed in the northern Kenya, Samburu national reserve. Hence easily spotted during your game drive. They are long-necked antelopes and commonly nicknamed, giraffe necked antelopes. 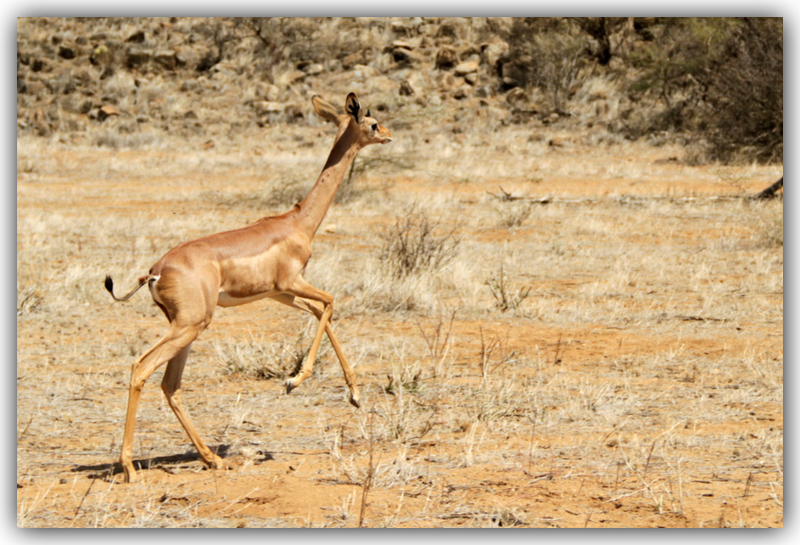 They are very slender and looks almost like the gazelles. Horns which assumes shape of letter S are only present in the males. The males are bigger and taller than the females. They are also darker in coloration. Southern Gerenuk – also known as Waller’s gazelle and found in Kenya, Tanzania and Somalia. 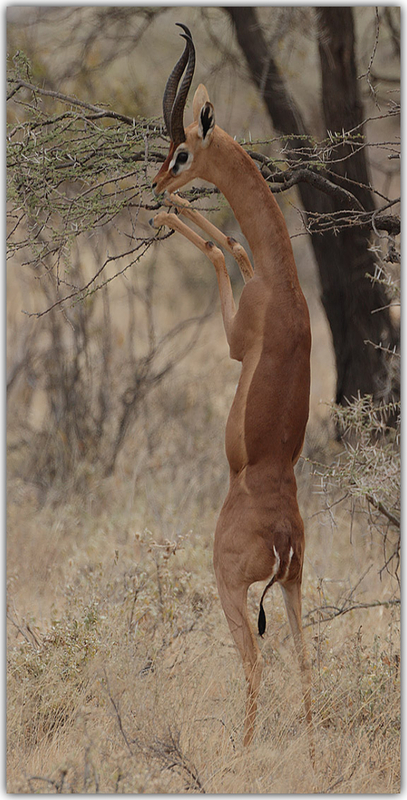 Northern Gerenuk – also known as Sclater’s gazelle and found in Somalia. They are also known as Imperial Zebra. They are one of the three species of zebra. 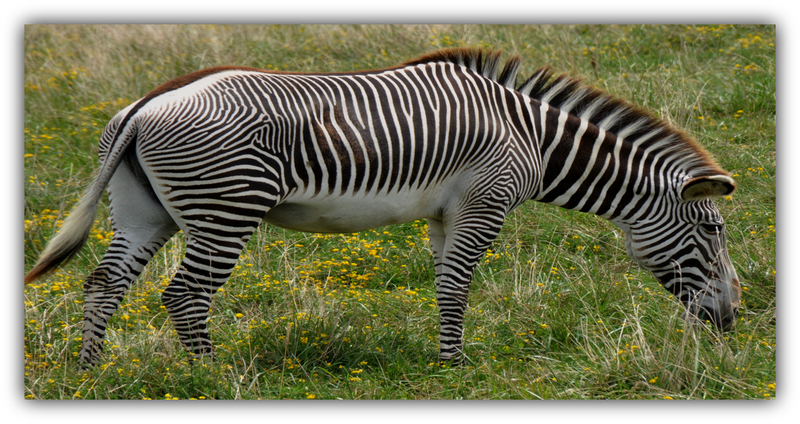 Unfortunately, they are the most threatened zebra species. They are found in both Kenya and Ethiopia. Their height, ears and strips are very different from the species. They are the tallest, have large ears and their strips are narrower. 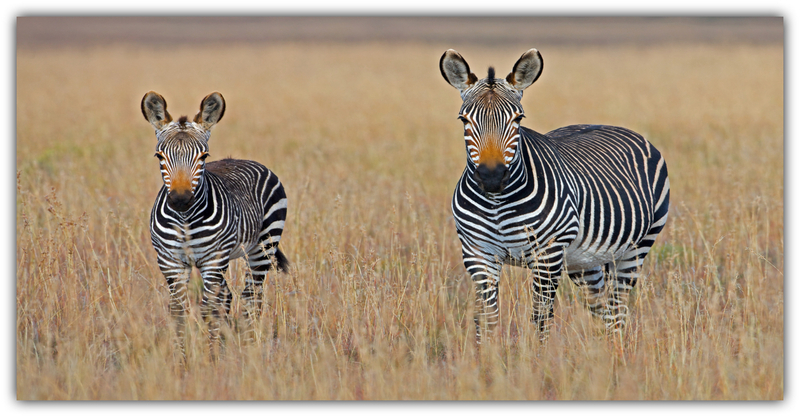 Unlike other zebras, their social groups does not last for long. It is one of the large antelopes. Arabian oryx – Found in the United Arab Emirates and vulnerable after being re-introduced in Oman. Scimitar oryx – Found in the North Africa and considered extinct in the wild. 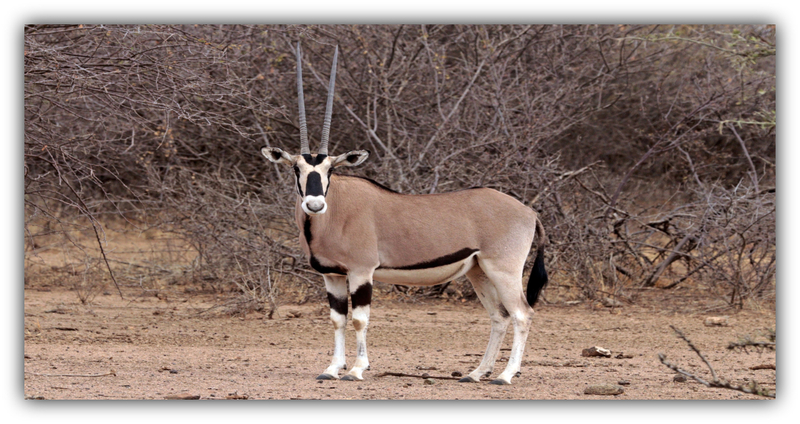 East African oryx and Gemsbok – Found in the Eastern Africa and at least not threatened. Their horns are narrow and found in both males and females. These horns are dangerous weapons against their predators. They are also considered to be a trophy contributing to their hunting by humans. 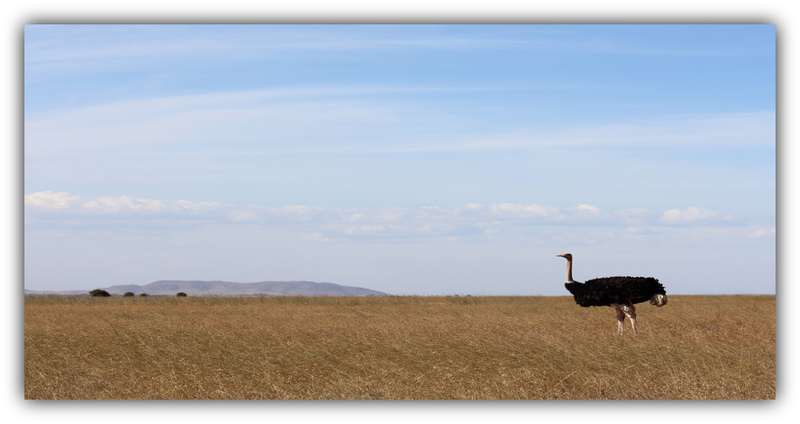 It is also known as the blue-necked ostrich. They found in the dry, hot savannas and woodlands of sub-Saharan Africa. 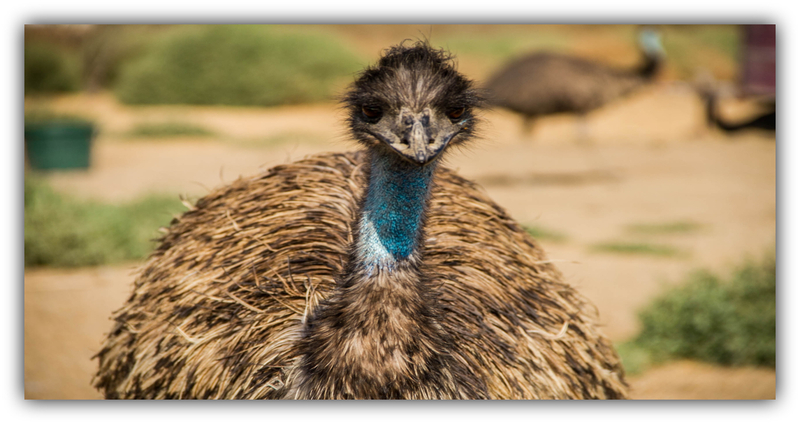 It’s one of the 5 ostrich species. They have grey-blue skin on the neck and thighs. The females are much bigger than the males. The females are light brown while males are black and white. Just like giraffes, their kicks are very dreadful. Enough to send their predators to unfortunate death. Do you agree they deserve the name special five and are way cooler than the big five? They are more interesting physically. Plan a safari to the north and enjoy. Such magnificent creatures! Thank you for sharing the photos and your narrative. Thank you for following BrewNSpew.